Here are some questions/answers that we are frequently asked. If you have additional questions that aren't covered here, please feel free to give us a call at Sonoma Veterinary Clinic. Our hospital is open Monday to Friday from 8:30am to 5:30pm. On Saturdays we are open from 9:00am until noon. The clinic is closed on Sunday. Spaying or neutering can be done at approximately 5-6 months of age. Your pet is given an exam prior to surgery to help determine whether your pet is healthy enough to undergo the surgical procedure. Current vaccinations are required at the time of surgery. Also a pre-anesthetic blood screen is recommended prior to undergoing anesthesia and surgery. We do offer boarding services for cats but at the time we are not boarding dogs. We also can board birds and other small animals, but you will be required to bring your own cage and food for your pet. Our kennels are all indoor. The cat boarders are housed in a separate area away from dogs. Blankets and food are provided for our boarders, but you are always welcome to bring your own. 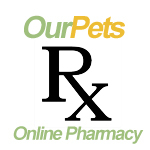 We are happy to administer medications to any boarding pet.